For the last few pro-drivers interested, I will be in touch shortly with next steps. I have hit the quota for the beta testing program for testers and will not be accepting anymore inquiries at this time. Thank you to Brett and Trucking Truth forums and to all the participants! I appreciate your support! Looking for a 7 more drivers to test product. Please chime in if interested. Again, this beta testing program is free. 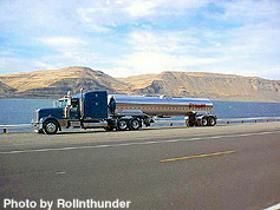 We are just request your time in testing the device in a truck and answer several questions via out beta testing forum. Hey Alex - sorry I forgot to get back to you on the email about reviving this thread. I'm the National Sales/Product Manager for a reputable Global GPS company looking for a handful of Pro-Drivers who would be interested in beta testing a new Truck GPS device. You will be required to sign a Non-Disclosure Agreement and register on our Beta-Tester Forum (where you would be providing feedback). If you would like to participate, please reply to this post and I'll message you directly or you can message me directly via my forum name. Looking forward to the inquiries. Thank you!!! So if you're out on the road and you'd like to help test a new truck-specific GPS unit let us know. When this was first published we still had private messaging in the forum. We do not have that anymore so if you're interested just respond here and let us know. I already have your email address and I will forward it to Alex so he can contact you. You do not have to put your email address here publicly. Just respond to let us know you're interested and I'll look it up and forward it to Alex. Just wanted to see if anyone is still interested in testing product. I had a few people provide me with their contact info but never respond to the setup process for the beta testing. Of the people who did test products, thank you, I'm glad we received some amazing feedback from you. I'm looking for 10-15 more people. For the 4 requests above..I have sent you a message. This thread is now closed as I'm out of spots. Thanks again to Brett for allowing me to post here. I may be heading back out on the road soon, feel free to toss some info my way.. I'm definitely interested in this! Can I get some more information? Yap, it's true. I gave them the go ahead to post this. Sorry I was out this morning or I would have said something earlier. Thanks Brett. Thank you again for the support! I hope we get some great feedback from the members and be able to launch this product soon! Can the "forum admin" confirm this statement to be true? Just sent you a note I received from Brett. I think I accidentally hit "report" instead of "quote" to write this response. Please ignore the "report". My apologies.